Looking at the Javanese script, it’s almost impossible to believe, simply from an aesthetic point of view, that it is highly endangered. Manuscripts and printed documents from the eighteenth and nineteenth centuries, both on palm leaves and later on paper, show a flowing line that is both clear and ornate. It has a long, rich history, having been used by court scribes in Surakarta and Yogyakarta, as well as farther afield among various courts of Java and the Lesser Sunda Islands. It was used to write historical accounts (babad), stories (serat), ancient verses (kakawin), and divination guides (primbon) — yet today there are no newspapers or magazines in the script, and it is used (when it is used at all) mainly for signage. 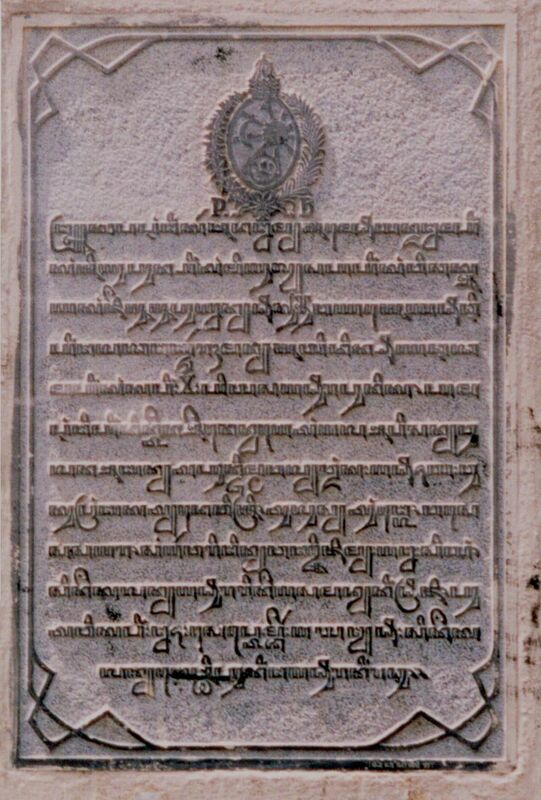 The Javanese script is very like its close cousin, the Balinese script: in historical handwritten documents, in fact, Javanese and Balinese are virtually identical. 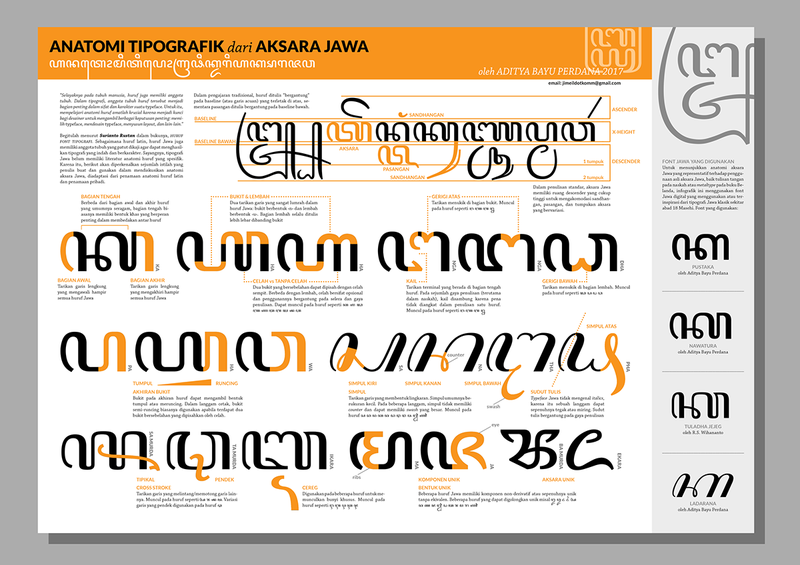 The fact that there is a difference nowadays is actually due to the influence of Dutch typefaces for Javanese that were influenced by European copperplate writing. But like Balinese, the Javanese script was abandoned recently and swiftly. During World War II, when the Dutch East Indies were occupied by the Japanese, the use of many indigenous scripts was banned — a sign of how deeply people tend to associate a script with its culture of origin. 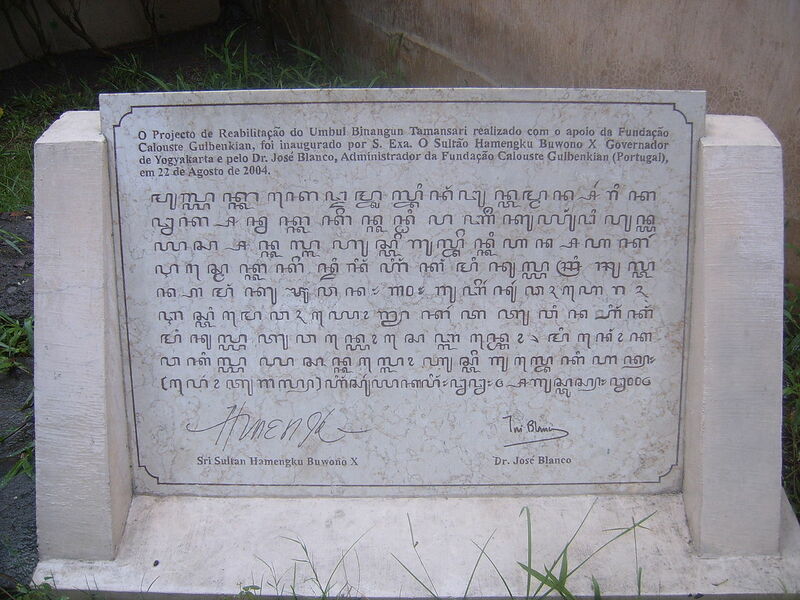 After the war, when Indonesia achieved independence, the official language became Indonesian, written in the Latin alphabet. 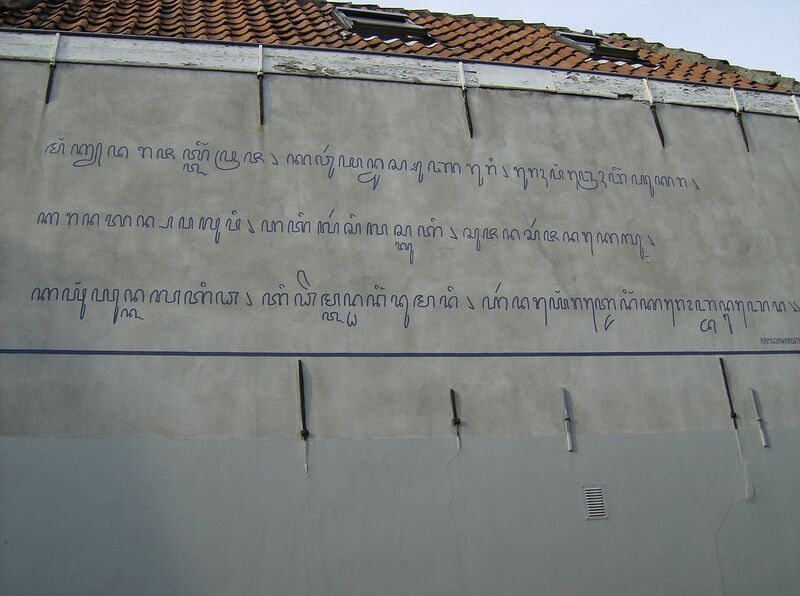 Within two generations, the number of Javanese who read and write their traditional script has been decimated. 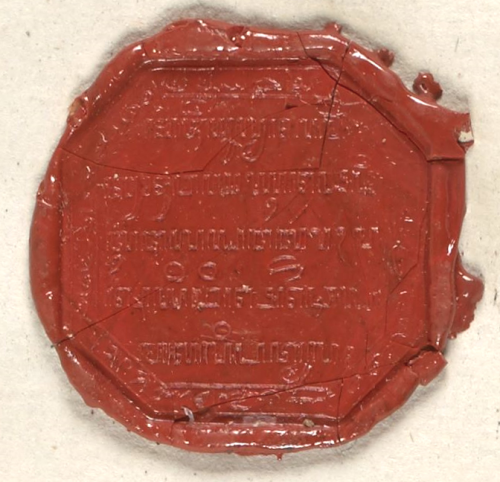 In recent years, as a preservation effort, the Indonesian government prescribed most elementary and junior-high schools in Javanese speaking areas to teach the script as a compulsory subject, though that has not necessarily made the Javanese script popular among schoolchildren. 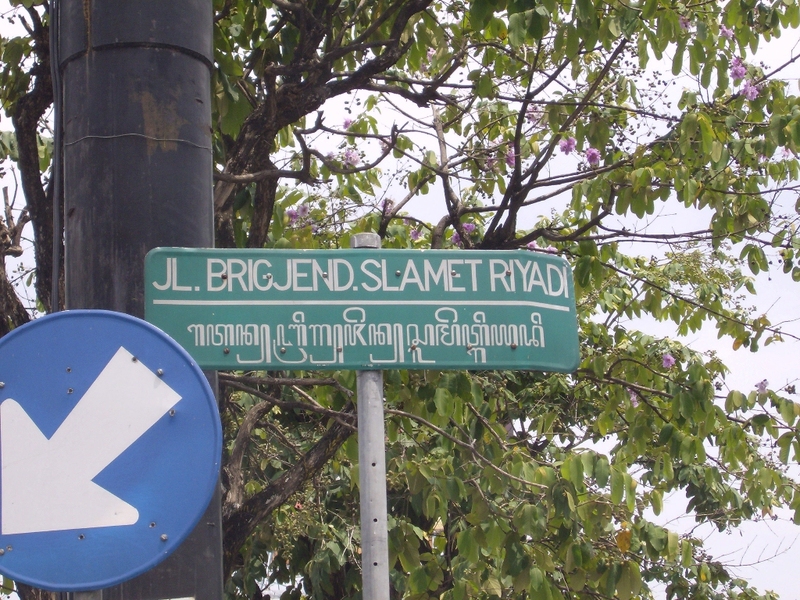 Of all the indigenous Indonesian scripts, Javanese seems especially ripe for revival. 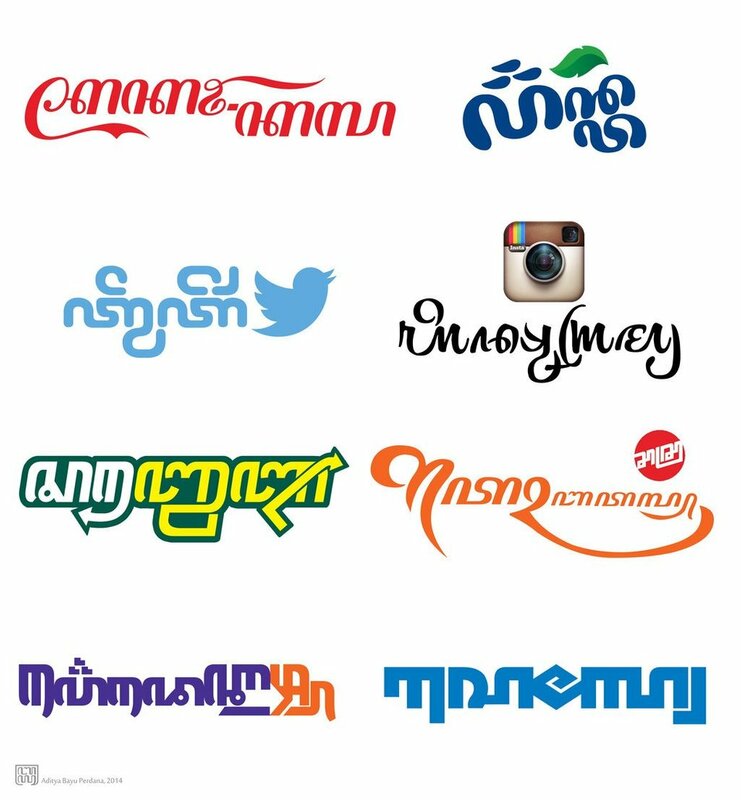 Its flowing line lends itself well to calligraphy, and font designers such as the Aksara di Nusantara group are creating a steadily-increasing number of artistic expressions. Yet the sad fact remains that nowhere in the world has a traditional script fallen so far out of general usage and recovered to the point where it is once again widespread as a medium of everyday use. From the Javanese manuscript Serat Selarasa (MSS Jav. 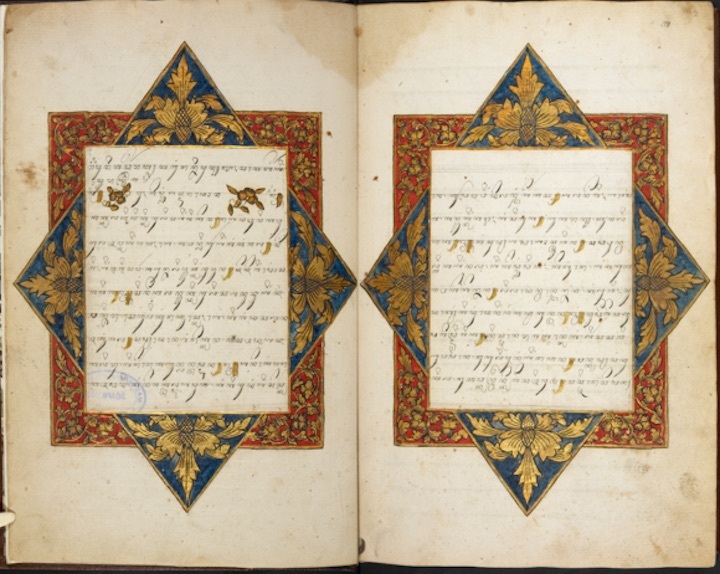 28), the most beautiful illuminated Javanese manuscript in the British Library. 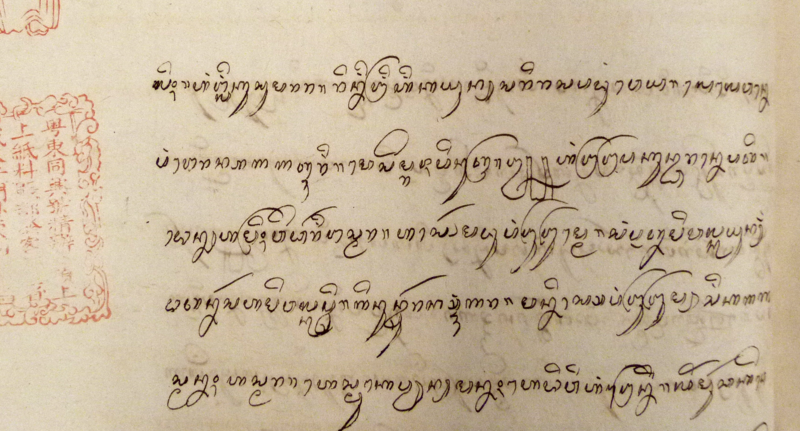 Dated 1804; perhaps the earliest finely-illustrated Javanese manuscript known.